Hello all! I told you a post was coming soon about my weekend festivities. This is the event I attended with @ms_creativity and where I wore my "Weekend Rags" outfit. 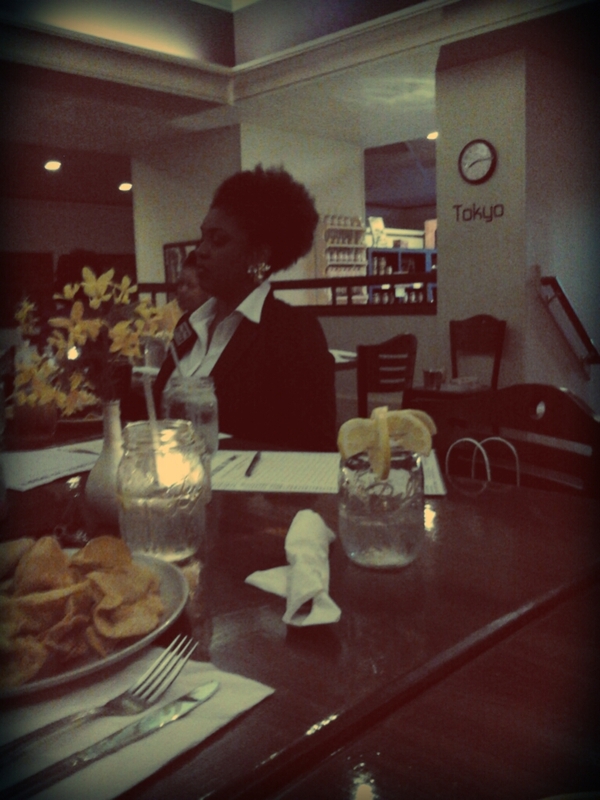 I had the pleasure of attending a natural hair meet up hosted by The Trendy Socialite at Relish Cafe and Bar located here in Raleigh, NC. I am so glad Ms. Adeea decided to come to Raleigh to host this event. This was a new experience for me. Although I've worn my hair naturally for over five years now, I've sampled very few products catered to natural hair. I also haven't had many opportunities to converse with other naturals about hair care. It has been more often I'm handing out advise about my experiences/blunders vs. the opportunity to ask someone else about their experiences. 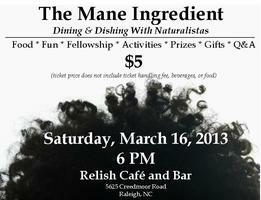 Here is a description: The Mane Ingredient Raleigh: Dining and Dishing with Naturalistas, Sponsored by Sof N Free Nothing But. It was a lot of Curl Talk, a few group activities and raffles and we ended with some Q & A, photos and laughs. Here are some random pics from the night, enjoy! Can't wait to attend a similar event in the future. Ms. Adeea was such a gracious host, she gave out "Swag Bags" full of all types of goodies for all her attendees. Want a peek of what was inside?